It was a year ago when our now 20 year old daughter, Kate, was a college freshman enjoying that sense of freedom many get living away from home for the first time when tragedy struck. 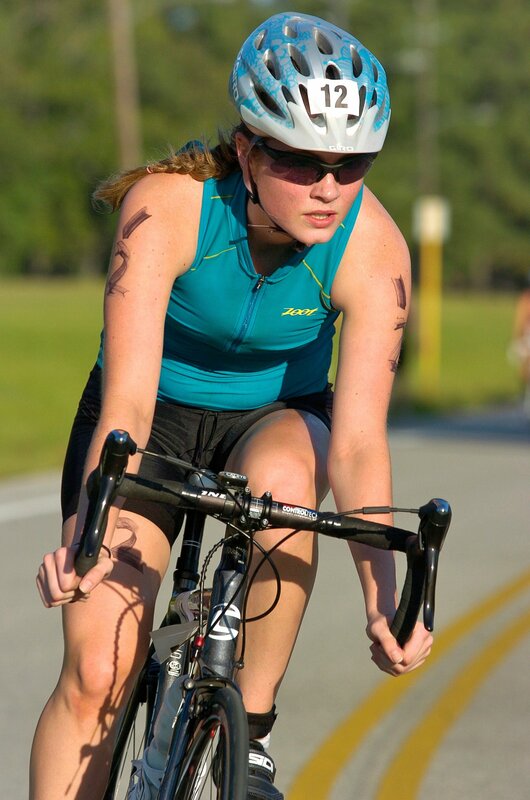 On October 1, 2013, Kate was riding her bike in Austin, Texas training for the University of Texas cycling team when she was hit by a car and broke her neck. Kate was left quadriplegic, paralyzed from her upper chest down and is unable to use her wrists or hands. Kate has had extensive hospital stays, surgeries and spent time at the Craig Hospital in Denver as well as TIRR Memorial Hermann in Houston for rehabilitation therapy. Now, a year later, Kate is back in college resuming her freshman year trying to achieve her academic goal of getting a degree in Plan II (a challenging interdisciplinary honors program) and business and going on to Law School. Returning to the University of Texas at Austin has been a trying experience for Kate. Navigating the campus in a power wheelchair is much harder than walking or riding a bike. Since Kate requires a full time caregiver, Jenie is living in Kate’s dorm room with her, attending classes, taking notes for her and is constantly on call to help Kate as needed. Who wants to go to college with their mom?! Those who know Kate know she is working hard and will ultimately succeed. Even with insurance there are many expenses that are not covered and must be paid out of pocket, both now and throughout Kate’s life. Some of these expenses are additional home modifications, adaptive equipment, and continuous physical and occupational rehabilitative therapy to help increase her strength and make strides to becoming more independent. This is a financial burden Kate is facing now and for years to come. Kate could really use your help to make sure she has the resources to continue to improve and face life’s challenges. To help with the financial burden of Kate’s uninsured expenses, a fundraising campaign in her honor has been established with HelpHOPELive, a trusted nonprofit organization that has been providing community-based fundraising guidance to patients and their families for more than 30 years. All donations are tax deductible, are held by HelpHOPELive in the South-Central Spinal Cord Injury Fund, and are administered by HelpHOPELive for injury-related expenses only. Please consider making an end of year tax-deductible contribution. On behalf of Kate and our family, thank your for your kindness, support, and generosity. Kate finished her sophomore year at the University of Texas last spring and was really looking forward to starting her junior year this past August. The semester started well with Kate attending class, participating in a focus group designed to bring awareness of the many issues disabled students face at UT, and generally enjoying being with her friends again. Yes…Mom was still living with her in the dorm providing her day-to-day care but Kate was able to attend classes with a friend instead of Mom and she also had help from a caregiver that she hired to help on days when she wasn’t in class with her friend. Mom and Dad were also excited by this new caregiver as he is an inactive Marine and newlywed that quickly became a new friend. So things were going well mentally and emotionally but physically Kate was starting to struggle with a pressure sore that just would not heal. Pressure sores are unfortunately fairly common in the paralysis community and can get very serious very quickly. They are a common secondary condition of spinal cord injury because of lack of sensation. Wounds can invade the bone and be life threatening. They are slow to heal and quick to spread making Kate’s surgery necessary despite excellent wound care. In early October doctors were starting to suggest surgical intervention might be necessary. The implications of surgery meant Kate would have to withdraw from school and, pending successful surgery, would have a long road back to health. Kate decided at the end of October to medically withdraw from UT and undergo surgery at the Shepherd Center in Atlanta. 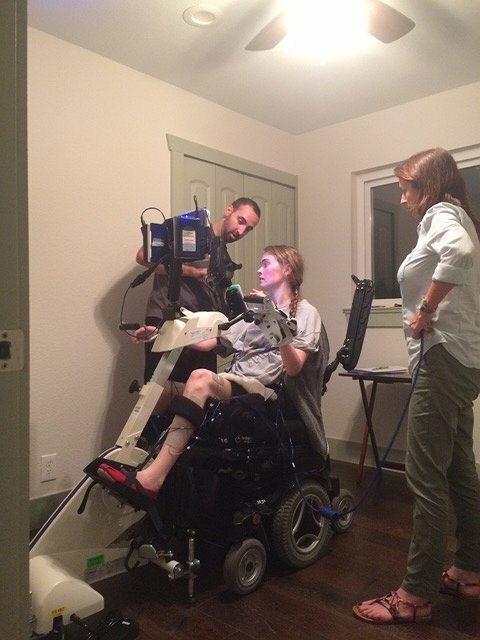 The Shepherd Center is a world-class spinal cord injury (SCI) surgical and rehab center similar to TIRR in Houston and the Craig Hospital in Denver, all of which Kate is now a former patient! Surgery went well and Kate is currently recovering. Although the holiday season turned out a little unconventional this year, Kate is hoping to be back in Texas by the new year and healthy enough to be at the ride wishing everyone a safe and enjoyable ride. Kate’s Ride 2016 is approaching fast. Thanks to all of the riders and sponsors. Let’s hope for some great weather. Kate just returned from an exciting few days in New York where she participated in the Reeve Foundation’s “A Magical Night”. We have two very generous items donated which are up for silent auction. Auction is live – place your bids now! 1) Biking Jersey signed by George Hincapie and his development racing team – value priceless. 2) John Deere 23 cubic feet deluxe safe. Retail value $1,449. Plus free delivery within Greater Houston Area ($300 value). Sponsors for Kate’s Ride 2014 have been added to Kate’s Photo Albums! Kate, and her mom Jenie, are at the University of Texas where Kate is returning to school and the challenging Plan II curriculum. Kate, I used to work with your dad years ago. I'm sorry that I just heard your story yesterday, but you sure are an inspiration. Keep up the impeccable work. My daughter, Katie, is just a few years behind you. Katie will begin college next Fall. We will keep you and your family in our prayers. God bless. Good Luck with the big ride this weekend. I am not able to join in the fun. I wish you great success with your studies. I admire your strength and courage! As an Attorney, you will be powerful! Stay Strong! The MULES look forward to riding in this event and are delighted to support such a great cause. From all of us at SWCC, we wish you the best and never give up the fight. Even though we have not met, you inspire me tremendously and I thank you. Kate Your refusal to quit is inspiring and an example for all of us to follow in our everyday lives. Keep up the good work. Hi, we heard about you through Elliott Hough and we want you to know we very much admire you and your family's perseverance. Kate Strickland is a total winner. Please support her and her family.